Both houses of Congress have now passed bills to regulate self-driving vehicles. Once signed, the laws would trump any currently in place at the state level. Auto manufacturers aren’t the only ones racing to get self-driving cars on the road. In an increasingly rare show of consensus on Capitol Hill, both houses of Congress have fast-tracked bills meant to speed the arrival of autonomous vehicles on the streets, with the Senate now working on their version of the regulations following the recent adoption of legislation in the House of Representatives. Members of both houses have pointed to grim—and worsening—statistics on fatal roadway incidents as the impetus for removing unsafe human drivers from behind the wheel as quickly as possible. But not everyone is sold on the plan—including a large and growing portion of the American public. Still, the introduction of a Senate-approved version of the legislation represents the last major hurdle to enshrining the regulations in law—and putting us all on the fast track to a lifetime of passenger-hood. So what, exactly, does the latest self-driving bill portend? 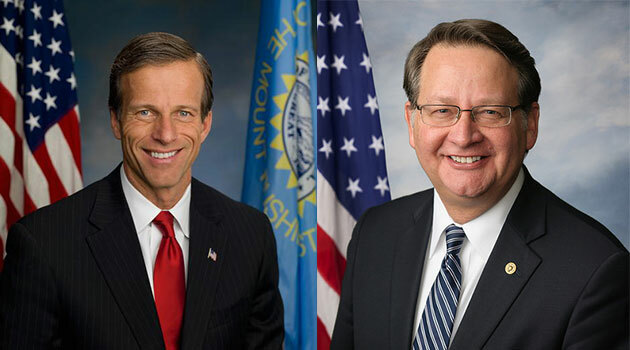 John Thune (R-South Dakota) and Gary Peters (D-Michigan) co-authored the Senate's self-driving legislation. 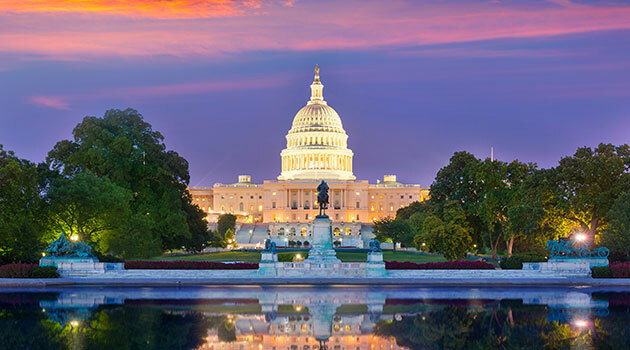 Called the AV START Act, the Senate bill, sponsored by the bipartisan team of Senators John Thune (R-South Dakota) and Gary Peters (D-Michigan), in many ways mirrors the measure passed by the lower chamber late last month. Like the House version, it establishes a firm separation of powers between states and the federal government regarding self-driving vehicle regulation. States are given the opportunity to set standards on vehicle licensing, registration, safety, and emissions, but are barred from creating laws around the “design, construction, or performance” of the cars. New federal legislation would supersede any state rules currently on the books dealing with vehicle design aspects—for example, whether the cars must include steering wheels and pedals. That aspect of the proposal helps clear the way for another clause allowing automakers to exempt thousands of prototypes from safety standards annually. Manufacturers can ask the Department of Transportation to exempt up to 2,500 vehicles each—and are invited in the legislation to petition for more exemptions if they see fit. The measure borrows total annual exemption numbers from its House-based predecessor, dictating that up to 50,000 vehicles can be exempted in the first year after the law is passed; 75,000 in the second year; and 100,000 in the third year. Automakers will have to submit annual safety reports on each of their self-driving models, but the Senate-penned law prevents the government from blocking any particular model from coming to market due to information contained in those reports. And it’s not just what the twin bills dictate, but subjects they both fail to mention at all that are causing many in the automotive world to worry. The bill purposefully omits regulations for tractor trailers, which provoked mixed reactions from industry and labor groups. It seems neither chamber’s bill has found the room to include big rigs. Both stop short at regulating vehicles over 10,000 pounds. 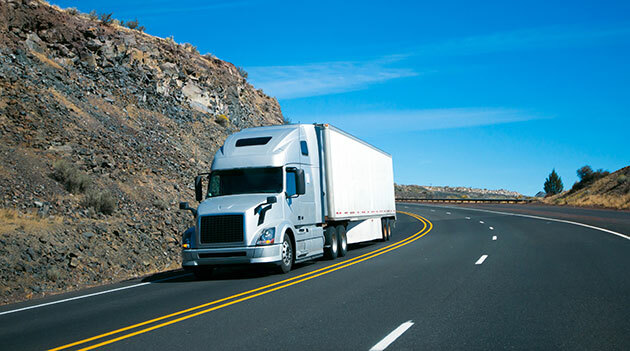 The rebuff has ruffled some feathers in the commercial trucking community, which has been forced to largely watch from the sidelines as the government debates technology that could put a large portion of its members out of a job. Federal rules shoring up cybersecurity for automated big rigs could be especially crucial for the industry, as some experts in the field have warned that fleets of self-driving commercial trucks could make for particularly attractive targets to new-age terrorists who could hold the commodities they’re delivering hostage by hacking the vehicles’ navigation systems. German auto manufacturing giant Daimler—which produces high-end brands like Mercedes-Benz—is also forging ahead on the automated trucking idea, announcing recently that it will launch several tests in Oregon and Nevada to assess the concept of “platooning,” in which a fleet of automated big rigs are programmed to follow a lead truck, much like a group of migrating birds. Without a federal regulatory blessing, however, the fate of the technology they’re testing remains unclear. Still, not everyone in the trucking world lamented the lack of legislation. The 1.4 million-member International Brotherhood of Teamsters unionlobbied heavily against the inclusion of big rigs in the federal proposals, worried that the creation of any legislation would quicken the pace at which the technology could be applied to the industry—and put millions of drivers out of work. All told, up to 4 million professional driving jobs—including more than 1.7 million in the commercial trucking industry—could be at stake, according to a recent Center for Global Policy Solutions report. But with both houses of the U.S. legislature successfully adopting bills on self-driving technology, it’s unlikely that commercial big rigs will avoid automation for long. Both chambers of Congress have not only agreed to pass self-driving bills; they’ve created strikingly similar measures, which will likely make the rest of the legislative process pass quickly and easily. The House and Senate must now reconcile their proposals, creating a singular bill to send to President Donald Trump’s desk for approval. For its part, the administration also seems ready and willing to welcome self-driving tech, with the U.S. Department of Transportation recently releasing a new set of guidelines intended to streamline and simplify previous regulations on the self-driving automotive industry. When it comes to autonomous vehicles, it seems politicians of all stripes can agree: It’s time to put the computer in the driver’s seat.